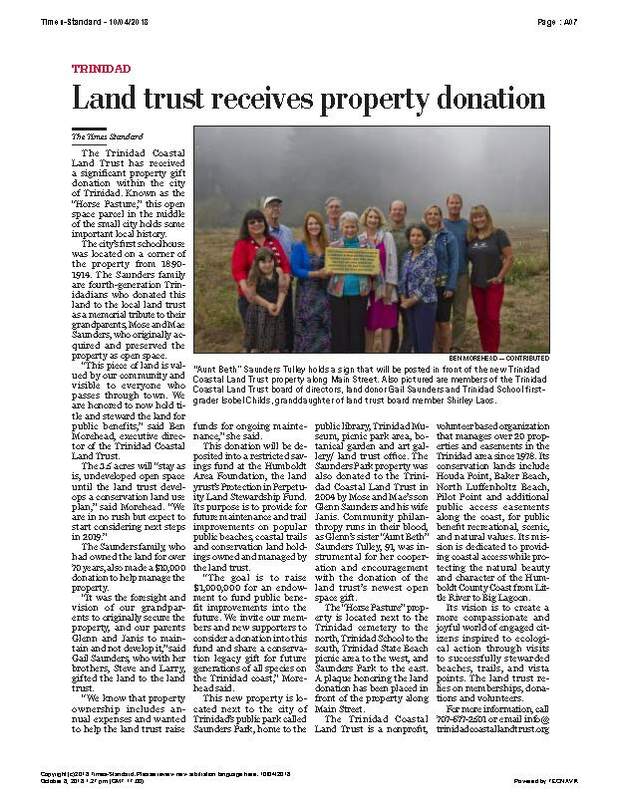 Trinidad's own Saunders family donated this gift of property to the Land Trust in 2018. We will maintain it as is in the short term. We will develop a conservation public benefit land use plan for the long term.